Submissions that are “nominated” by both Evaluators become Recommended Works. They are installed in our Library of Recommended works and become contestants in our Directors Choice Awards (DCA) competition. Periodically, a Jury of theater professionals is impaneled to review newly Recommended Works and select six DCA Finalists. 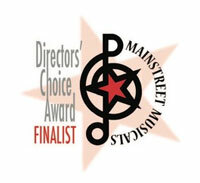 The six Finalists are then reviewed by MainStreet’s Guest Artistic Director (GAD), a well-known professional, who selects three DCA Winners - the GAD’s suggestion for a 3-show Festival. Guest Artistic Directors serve for a single Season. 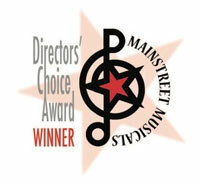 All works housed in the MainStreet Library - including DCA Finalists and Winners - are made available to MainStreet’s regional Affiliates…. public concert-reading Presentations, Benefits, and Festivals. Musical numbers from Recommended Works are featured in MainStreet’s annual CAMPUS CALLBACKS performance competition presented by Acceptd, Inc.
a brand-new performance competition for Theatre and Music Majors aged 19-24. 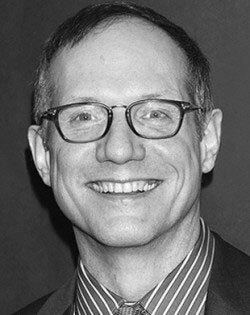 MARK BROKAW is the artistic director of the Yale Institute for Music Theatre, a competition-based program that supports emerging music theatre writers and composers. As a director his Broadway credits include Heisenberg, Rodgers + Hammerstein’s Cinderella, The Lyons, After Miss Julie, The Constant Wife, Cry-Baby, and Reckless. New York premieres include works by David Auburn, Lynda Barry (The Good Times Are Killing Me), Douglas Carter Beane (As Bees in Honey Drown), Charles Busch, Julia Cho, Lisa Kron (2.5 Minute Ride), Kenneth Lonergan (This Is Our Youth, Lobby Hero), Craig Lucas (The Dying Gaul), Nicky Silver (The Lyons, Too Much Sun), Simon Stephens and Paula Vogel (How I Learned to Drive, The Long Christmas Ride Home). Regional includes Guthrie, Seattle Rep, Center Theatre Group, Yale Rep, La Jolla, Steppenwolf, Berkeley Rep, Hartford Stage, Huntington Theatre, Sundance Theatre Lab and the O’Neill Theatre Conference. He has directed at London’s Donmar Warehouse and Menier Chocolate Factory, Dublin’s Gate Theatre and the Sydney Opera House. He serves on the Executive Board of SDC, and is an artistic associate of Roundabout Theatre.